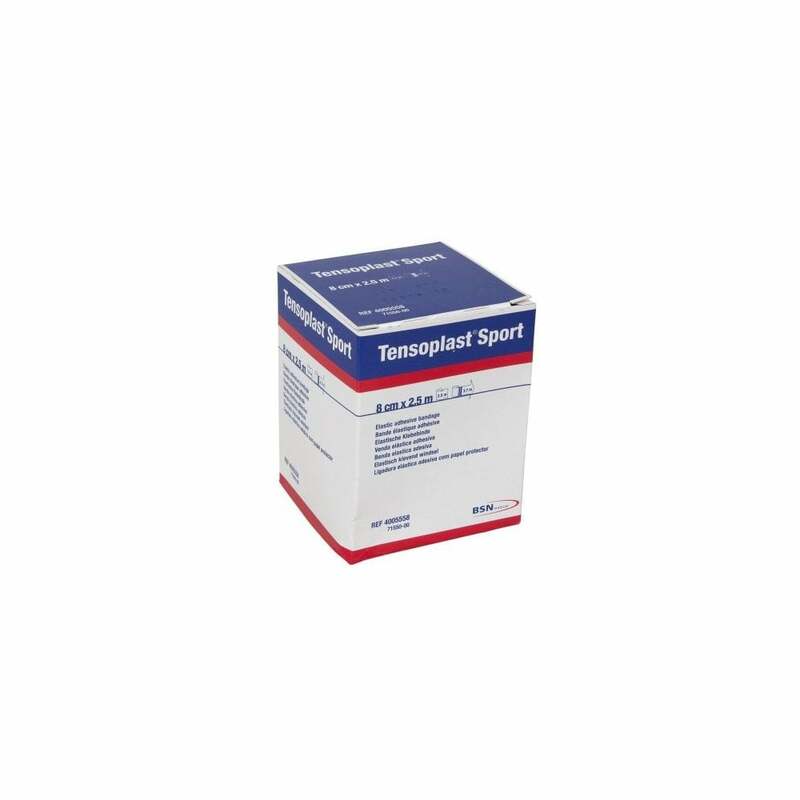 Tensoplast Elastoplast Tape 8cm x 2.5m is an elastic adhesive bandage with dual function. Great to have to hand if you need to strap a joint and excellent for preventing and treating blisters, rubbing and chafing. 8cm wide x 2.5m long. Weight of 110g includes box. Roll is 98g. We have also included this tape in our Deluxe Footcare Kit. Looking for a wider tape? The Elastoplast 10cm x 2.5m is great for waist, shoulders, back etc or if you have a larger build.